I’m so excited to be doing half term storytelling in my local area. 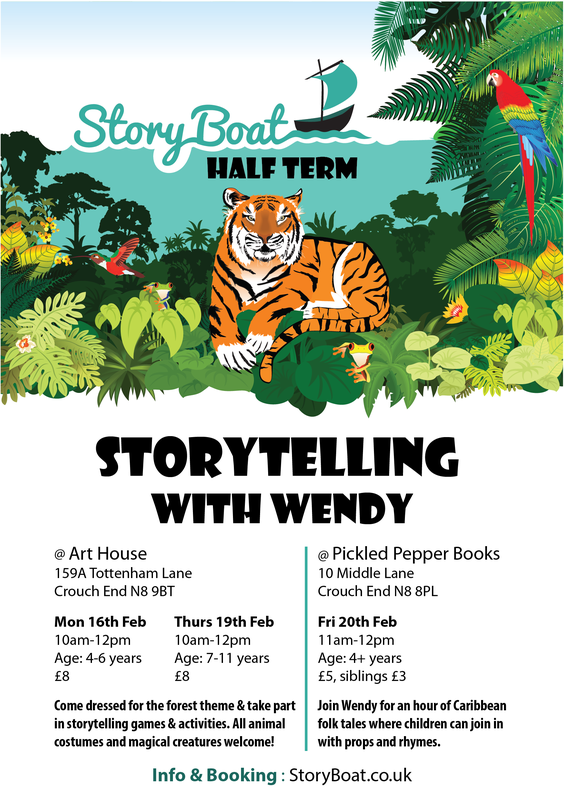 I’ve teamed up with Art House, Crouch End and Pickled Pepper Books to offer some energetic, fun packed storytelling for children aged 4-11 years. This is the first time that I’ll be performing and running sessions in public venues. Usually I am in schools with lively pupils and their teachers sitting not too far away. We’ve designed a colourful flyer to publicise the events and I’m now trying to decide which of my wonderful stories to tell on those days.